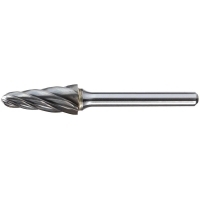 1/8in Included Angle Carbide Burr, 1/8in shank dia. 3/16in Included Angle Carbide Burr, 1/8in shank dia. 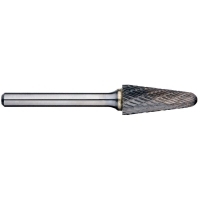 5/16in Included Angle Carbide Burr, 1/4in shank dia. 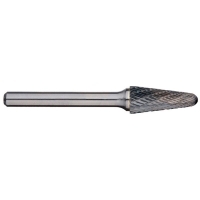 5/8in Included Angle Carbide Burr, 1/4in shank dia.